144 Commonwealth is located on the south side of Commonwealth, between Clarendon and Dartmouth, with 132 Commonwealth to the east and 146 Commonwealth to the west. 144 Commonwealth was designed and built in 1880 by architect and builder George W. Pope. In 1876, he had designed and built the neighboring houses at 146-148 Commonwealth in a similar style. 144 Commonwealth was built as the home of leather merchant William Atherton and his wife, Mary Edwards (Dwight) Atherton. They previously had lived at 144 Warren in the Highlands area of Roxbury. He is shown as the owner on the original building permit application, filed in August of 1880. William Atherton purchased the land for 144 Commonwealth eight years earlier, on February 29, 1872, from the Commonwealth of Massachusetts. Click here for an index to the deeds for 144 Commonwealth. William Atherton died in April of 1891. After his death, his Mary Atherton continued to live at 144 Commonwealth with their children: Mary Louise Atherton, Frederic William Atherton, Edward Dwight Atherton, and Percy Lee Atherton. Mary Louise Atherton died in June of 1908. Frederic Atherton was a trustee for the Atherton family’s interests and also was one of three trustees named to administer the portion of the estate of Arioch Wentworth left to found the Wentworth Institute. Edward Dwight Atherton lived on his income, and Percy Lee Atherton was a musician, composer and music teacher. Frederic Atherton married in April of 1911 to Ellen Maud Tilton and they moved to 355 Beacon. 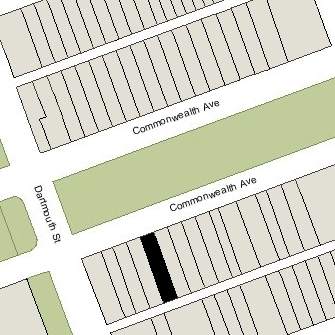 Edward Dwight and Percy Lee Atherton continued to live at 144 Commonwealth with their mother. Mary Atherton died in March of 1915. 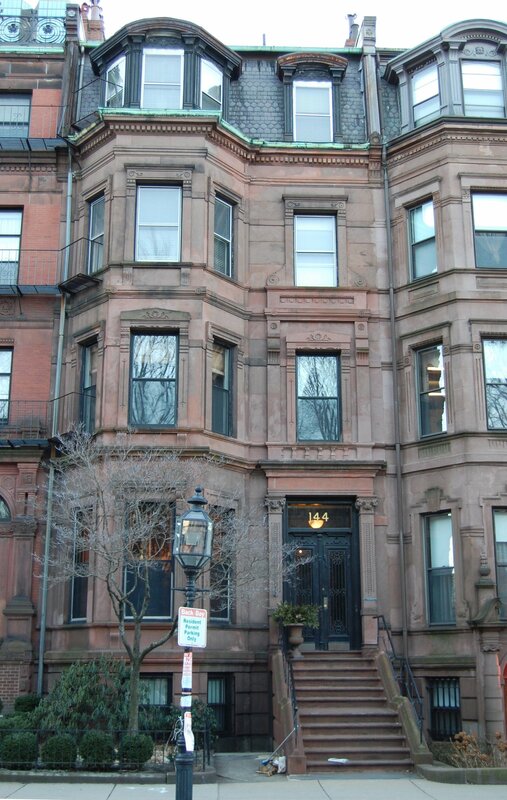 After her death, Edward Dwight and Percy Lee Atherton were joined at 144 Commonwealth by Frederic and Ellen Atherton. Edward Dwight Atherton continued to live there until about 1917, Percy Atherton remained there until 1921, and Frederic and Ellen Atherton remained until the early 1920s, when they moved to Washington DC. In May of 1920, Frederic Atherton leased 144 Commonwealth to Dr. Herman Ashton Osgood, a physician and radiologist, granting Dr. Osgood the right to use the premises for medical offices, and also granting him an option to purchase the house on June 1, 1925. Herman Osgood lived in Wellesley with his parents, Dr. Arthur Henry Osgood, a dentist, and Lizzie Jane (Kelley) Osgood. Arthur Osgood and Herman Osgood maintained their offices at the Stuart Building at 462 Boylston. After leasing 144 Commonwealth, Herman Osgood and his father moved their offices there, and he and his parents also made it their home. They also leased additional residential and office space in the house to others. Herman Osgood married in September of 1922 to Elizabeth C. Morrison. After their marriage, they lived at 144 Commonwealth. On February 10, 1923, Frederic Atherton entered into a further agreement with Herman Osgood, selling him 144 Commonwealth on June 1, 1925, upon expiration of the lease. The agreement also provided that Frederic Atherton could require the transfer of title to take place before June 1, 1925, if he wished, and set forth the financial conditions to be applicable under that event. It also stipulated the handling of the Athertons’ personal property still remaining in the house. On August 11, 1924, Frederic Atherton, Percy L. Atherton, and their uncle, Walter Atherton, “present trustees under the will of William Atherton,” sold 144 Commonwealth to Herman Osgood. On the same day, Herman Osgood transferred the property to his wife. After acquiring 144 Commonwealth in 1924, the Osgoods continued to lease office space to other doctors and dentists. By 1932, the house was entirely used for offices, Herman and Elizabeth Osgood having moved to Waban, and Arthur and Lizzie Osgood to Wollaston. Elizabeth Osgood died in January of 1942, and in 1947, Herman Osgood remarried to Beatrice Adeline MacCuspie. They subsequently moved to 144 Commonwealth, living on the top floor..
On June 30, 1955, Dr. Osgood sold the house to real estate dealer John J. Ventola. However, he and his wife continued to maintain their home and his medical office there until about 1960, when they moved to Melrose. On December 1, 1958, 144 Marlborough was acquired from John J. Ventola by Henry Crivelli and his wife, Shirley Ruth (McCoy) Crivelli. They lived in Belmont. On December 18, 1959, they transferred the property to the McCoy Machine and Engineering Corporation, of which Henry Crivelli was the president. 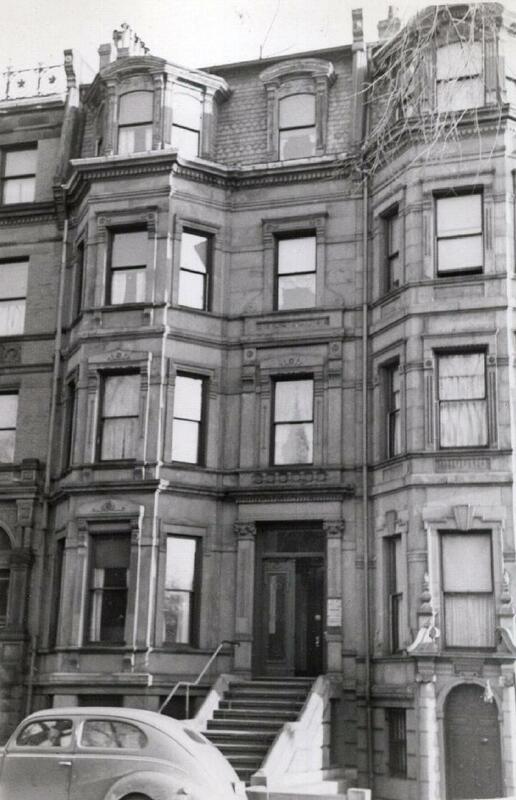 In January of 1961, Henry Crivelli filed for (and subsequently received) permission to establish the legal occupancy as nine apartments. 144 Commonwealth subsequently changed hands and on March 31, 1983, it was purchased by Fletcher H. Wiley, trustee of the 144 Commonwealth Avenue Realty Trust. 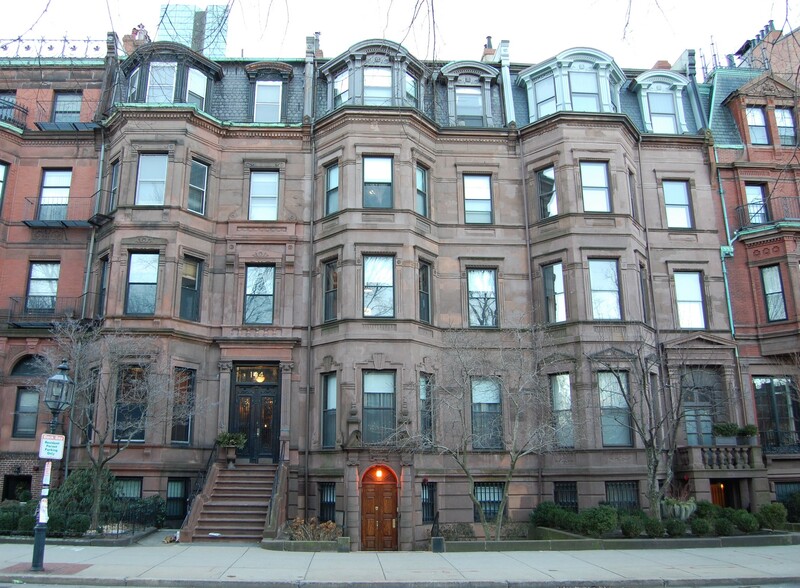 On June 11, 1984, he converted the property into nine condominium units, the 144 Commonwealth Avenue Condominium.